Will Nevada Pass Laws to Welcome Robot Cars? Could Nevada become the first state to welcome robot cars? It may take years to produce the first autonomous vehicles for consumer use but Nevada is already laying the legal ground work to get ready for their arrival. Assembly Bill 511 in the current session of the Nevada legislature outlines provisions for getting robot cars licensed and on the road. Two sections of the short bill would make the state Department of Transportation responsible for safety standards, testing, and insurance standards for any car that operates without a driver. Relevant portions of AB511 are included below, and full text is available on the Nevada Legislature site. While the fate of this bill is far from certain, if it is successful it could be a small step towards the social and legal changes we’ll need if we ever want to see robot cars on our highways. Nevada, if you pull this off, you’ll be years ahead of the curve. When Google announced it had a fleet of autonomous vehicles that had traveled more than 140,000 miles, it was a time for rejoicing. Robot cars seemed to be on the road towards out performing human drivers. Other developments in the time since, such as Stanford’s successful run on Pike’s Peak, have only pushed autonomous cars further down that path. Surely in the next few years we’ll all be reading Kindles and watching YouTube while letting our cars drive themselves. As I’ve been saying for months now, however, the greatest barriers to putting autonomous cars on the road won’t be engineering problems, they’ll be social and legal battles. Autonomous cars have the potential to be much safer than human drivers, yet they are still bound to cause at least some accidents at some point, and will undoubtedly kill a few passengers as well. Who is responsible when a robot car crashes due to malfunction, the operator or the manufacturer? And if the car is determined not to have malfunctioned? What insurance is required for autonomous vehicles? Who can ‘drive’ them? Where can they go? There are many such questions that have to be hammered out before any company would be wise to offer a robot car to consumers. AB511 tries, with some success, to answer some of these questions. Or rather, it gets the ball rolling so that its state bureaucracy can answer them. In section 2 of the original bill the Department of Transportation is charged with establishing a license for autonomous vehicles. In section 5 of the original bill, the Department of Transportation is further charged with determining where such cars can be tested, what insurance they need, what safety standards they must meet, generally regulate their use in Nevada. This section of the bill also tries to define what ‘autonomous vehicle’, ‘sensors’, and even ‘artificial intelligence’ mean in this context. 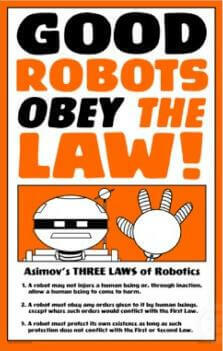 No single law could possibly handle robot cars on its own. We'd need at least three, right? Is AB511 equipped to handle all the non-engineering problems that could keep autonomous cars off the roads? Oh hell no. Not even close. Even ignoring the general sort of ‘pass the buck’ attitude, the broad definitions, and the vague directives, the bill doesn’t address civil suits in case of accident (there’s not even a mention of accidents) nor does it discuss external controllers for these vehicles (can you remotely pilot a car, can the police override your car to pull you over, etc). AB511 also doesn’t account for how broad the category of autonomous cars really is. Besides fully robotic cars like the ones built by Google there are vehicles on the road today with systems that will hit the brakes for you, and there are plans to have cars that will only be autonomous when driving on the highway as part of a convoy. There are many many things that AB511 simply doesn’t provide for, but in fact, no single piece of legislation could possibly address all the potential landmines that surround robot car adoption for the public. It can’t be done in one state bill. That being said, I’m pretty happy Nevada is trying. Each little bill that passes is another patch on the quilt of legislation that will need to be created at the state and national levels (perhaps international as well) in order to facilitate the arrival of robot vehicles on our roads. On its own, AB511 is full of holes. Given enough bills like it, however, and we could be creating the web of legislature that will eventually be solid enough to support the widespread use of autonomous cars. This is a tiny step forward, but it’s about time someone took it. Kudos to Nevada. I hope you pass AB511, or at least the autonomous car portions of the bill. Even if you get most of the planning wrong, paving the path for robot vehicles is the right thing to do.